Shiny shiny: The Gin Bar at Holborn Dining Room. 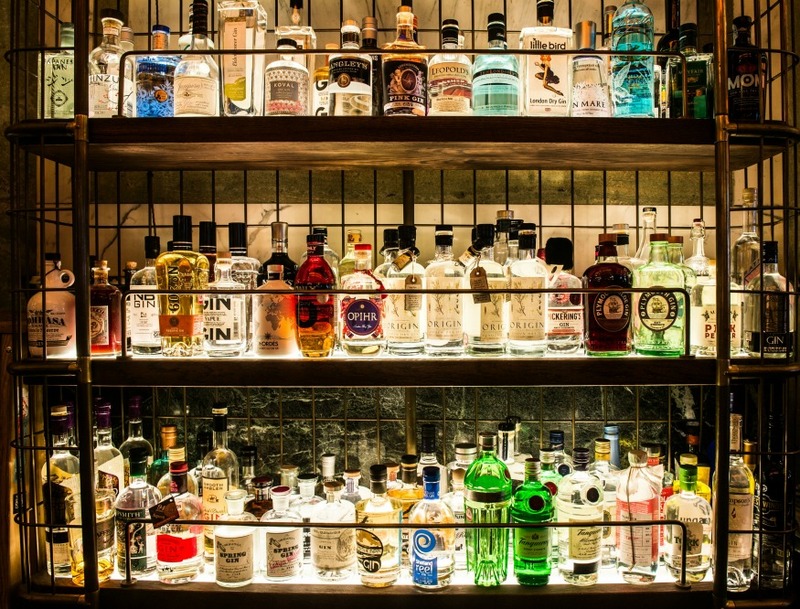 Holborn Dining Room is to open London's biggest gin bar on Monday. Imaginatively titled The Gin Bar, it will stock London's widest selection of the juniper-infused spirit, with over 400 varieties available. Gins will range from well-known brands to small batch distillers and prices will range from £9 for Rathbone London Dry, to £52 for the rare 1950s Taplows London Dry Gin. Holborn Dining Room is known for its focus on British cuisine, so it makes sense for them to focus on this British spirit. Over 100 of the gins will be UK distilled, including the Northumberland Gin Company’s Steam Punk Gin, based on a classic gin recipe from 1892 and incorporating a blend of seven botanicals. International gins will include the ecologically friendly Forest Dry Gin Spring, made in Belgium from purely seasonal botanicals grown at the distillery. There will also be 27 different types of tonic water available, as well as a signature tonic made in-house from a top secret recipe. Together with the gin, that makes a possible 14,035 gin and tonic pairings. Better get started, then. The Gin Bar, Holborn Dining Room, 252 High Holborn, WC1V 7EN. A reservation isn't required for the gin bar, and the restaurant's a la carte menu is available.